One of the biggest emerging threats in the world today is the proliferation of drug-resistant superbugs. 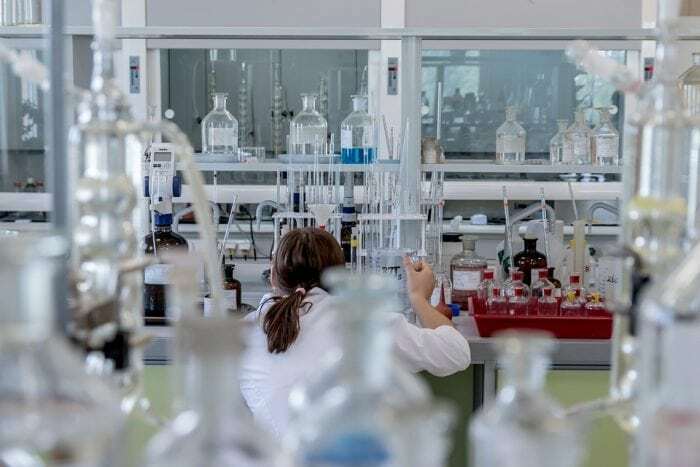 In the attempts to find ways to fight drug-resistant infections, a research group from the University of Colorado has made a promising discovery. Synthetic nanoparticles can be used to undercut the defenses of antibiotic-resistant bacteria, making traditional antibiotics effective once more. Antibiotic treatments have been increasingly rendered ineffective by drug-resistant strains of diseases like Salmonella and E. coli, which have evolved over many generations to have defenses against current antibiotics. Many medical experts are concerned that anti-microbial resistance could lead to a global health crisis. Researchers at the University of Colorado Boulder set out to develop new tactics to fight drug-resistant superbugs. The researchers at CU Boulder succeeded in developing “quantum dots”, or light activated nanoparticles which augment the effectiveness of traditional antibiotics against drug-resistant diseases. The quantum dots, superoxide-generating nanoparticles, are incredibly small. A human hair is about 10,000 times larger in width than these semiconductors, which are created out of the same materials used in TVs and computers. The nano-engineered particles are activated or deactivated when they are hit by certain wavelengths of light. The dots release a substance called superoxide, a chemical that triggers a fight response within the bacteria, interrupting its cellular and metabolic processes. When this happens, the bacteria become much weaker to the effects of regular antibiotics. Prashant Nagpal, Assistant Professor at the Department of Chemical and Biological Engineering (DCBE) at CU Boulder, says that the technique basically exploits the bacteria was natural fight response. We’ve developed a one-two knockout punch. The bacteria’s natural fight reaction [to the dots] actually leaves it more vulnerable. Bacteria that are resistant to multiple forms of antibiotics are able to regulate their metabolism as well as their response to stress to overcome the damage caused by antibiotics. However thanks to the superoxide introduced by the quantum dots, the bacteria essentially needs to divert these precious resources to dealing with this new threat, thus making them vulnerable to antibiotics again. Anushree Chatterjee, also an Assistant Professor at CU Boulder’s DCBE department, said the team was “thinking more like the bug”. “This is a novel strategy that plays against the infection’s normal strength and catalyzes the antibiotic instead,” said Chatterjee. The findings were recently published in the journal Nature Materials, and according to the report, the quantum dots effectively reduced the antibiotic resistance of the targeted infections by a factor of 1000. In addition, there were no adverse side effects from the experimental treatment. The fact that there were no side effects to the treatment is particularly exciting, as other antibiotic treatments are often too indiscriminate when they attack, frequently harming a person’s healthy cells. However, the newly developed quantum dots can be targeted far more precisely than traditional antibiotic treatments. They can be selectively employed on an intracellular level. Diseases like salmonella can reproduce inside the cells of the host, but the quantum dots can penetrate into the cell and destroy the infection without harming the healthy cell. Nagpal and Chatterjee say that they are still quite far away from seeing the technology applied in any clinical trials. However, when asked to speculate on how the treatment might be administered, they said that the antibiotics could be ingested along with the antibiotics either through an aerosol or intravenously. A patient would then need to simply sit in an illuminated room, wear clothing equipped with LED lights, or simply sit outside in the sun, and the infection would theoretically be wiped out rather quickly. Chaterjee says that the biggest advantage the light activated nanoparticles offer is that health care professionals may have a more multifaceted approach to combating diseases that are pushing the limits of our current treatment models. Chaterjee and Nagpal also stressed how important it was to develop new treatment methods for antibiotic-resistant bacteria. “These super-resistant bugs already exist right now, especially in hospitals. It’s just a matter of not contracting them. But they are one mutation away from becoming much more widespread infections,” said Nagpal. A new report suggests that “nightmare bacteria” are spreading quicker inside hospitals around America than previously estimated. 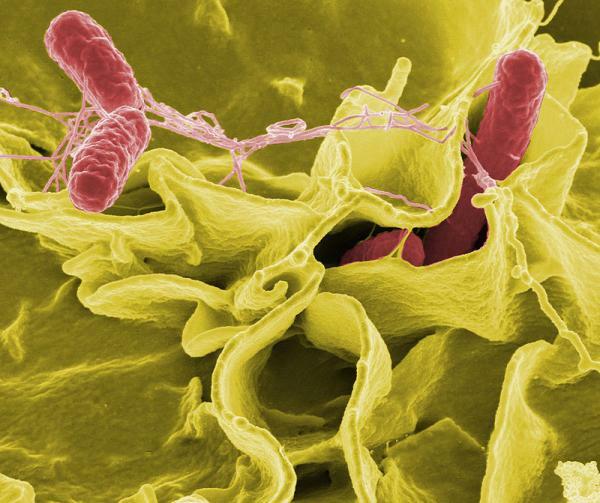 In fact, a family of bacteria collectively dubbed carbapenem-resistant Enterobacteriaceae (CRE) is thought to affect approximately 9200 people every year, killing around 600 of those infected. Researchers think the disease may be able to spread from person to person asymptomatically, which means that tracking the disease is difficult. Collectively, multi-drug resistant diseases cost the United States approximately $20 billion in healthcare costs, as well as an additional $35 billion due to productivity lost from the disease every year. “Disease works much faster than we do. Medicine needs to evolve as well,” says Chatterjee. Thanks to how scale-able quantum dot technology is, the researchers think that quantum dot technology can be utilized as an entire platform of technology that supports a wide range of application. Quantum dots could be modified and scaled as necessary to fight off a large variety of diseases, and potentially used for other forms of therapy. The CU Boulder team says that this current study is part of a larger two-pronged approach to combating drug-resistant antibiotics. A separate study done last year by the team demonstrated that quantum dots could be used as antibiotics to treat infections, while this study demonstrated their potential to improve the effectiveness of already existing antibiotics. The team wants to develop a range of antibiotic therapies, and remain a few steps ahead of these rapidly evolving diseases. The work that was done though CU Boulder team is just one of a variety of research projects being carried out to find new solutions to the problem of drug-resistant bacteria. Recently, a French startup company called Elgio Bioscience has stated that they are working on a new drug, Eligobiotics, which utilizes the gene editing technology CRISPR to cut out parts of a bacteria’s genetic code. Elsewhere, another study has investigated applying “a chemical mimic of host defense peptides” to fight bacterial infections. As the threat of antibiotic-resistant bacteria manifests itself, the work was done by the CU Boulder team and other researchers will be important lines of defense in the emerging battle.